Home / Noel Gallagher / Listen Again: Noel's Noel With Noel Gallagher! 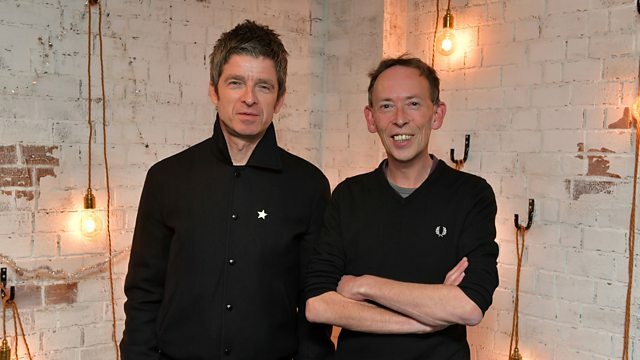 Listen Again: Noel's Noel With Noel Gallagher! For the fifth year in succession, Noel Gallagher joins Steve Lamacq with a sack full of his favourite records . Expect leftfield sounds and forgotten gems which Noel has dusted off from his collection. Previously we've been treated to alternative 60's cuts from The Velvet Underground and The Animals, alongside crackers from The Kitkats, Alan Vega, Whyte Horses and Kid Koala. Will he still be exploring psychedelic sounds this time around, or venture into pastures new? Steve will chat to Noel about his year with The High Flying Birds, following the release of their 3rd album Who Built the Moon? at the end of 2017, and looking forward to 2019.